The Right Power to Make it Happen. A small defect in your house electric system can cause a lot of trouble in the form of a lengthy power outage, damaging a crucial electrical appliance, wires getting heat up and catching fire that could be fatal especially when you are not at home or when you and your family are at sleep. To avoid these incidents our professionals identify a defect in an electricity system and remove it or reduce it to an acceptable level, which ensures not only the protection of your electrical equipment but also the lives of your family. A lot of electricity issues in homes and workplaces are related to lighting which ranges from a fuse bulb to a broken switch. 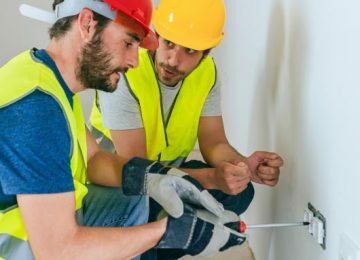 The team of experts at Mason Electrician Redondo Beach is always ready to give you a quick recovery and also provides you with the custom lighting system that you desire for your garage or your house on a special occasion. We also make sure that all your electrical problems are solved and give you quick troubleshooting in case of unexpected power loss. Our team of experts will also guide you on how to improve the life of the equipment and will teach you what best action you can take on your own in case you cannot reach us on time. Please give us a call at (562)203-1637 for any kind of installation services. Since all of our contractors are certified, choosing us will give you peace of mind that you are working with well-trained and technically fit professionals in a safe and secure environment. We are committed to providing our customers with the highest quality services. Our professionals stay abreast with the technological advancements in the industry and perform their job using cutting-edge tools, techniques, and methodologies. Our team strives to get the job done right the first time. Our dedication and commitment to work are widely appreciated by our customers. The only tool we use to measure our success is customer satisfaction.